Lebron James : What's the FUSS? Unless you've been under a rock, you're familiar with the "Decision" NBA player Lebron James made last Thursday. The 2 time NBA MVP announced he would be moving to Miami, FL to begin the rest of his career as a Heat player. Lebron, a native of Cleveland/Akron, Ohio, was picked in the 1st round of the NBA draft by the Cleveland Cavaliers in 2003. He has played for the team every since. However, at the end of this NBA season James became a "Free Agent" ending his contract with the Cavaliers. Do NBA players contract for years at a time or for a Lifetime? Answer = not a lifetime ...... Lebron had a contract with Cleveland that ENDED!!! Where is the un-loyalty in completing your contract and exploring the opportunity to continue your career somewhere else? I think there is credit to be given to an athlete that fulfills his contract and doesn't walk out like a certain braided hair "bad guy" point guard (that shall remain nameless).... totally different situations right? As a Memphis sports fan, I understand the feelings of betrayal all to well. 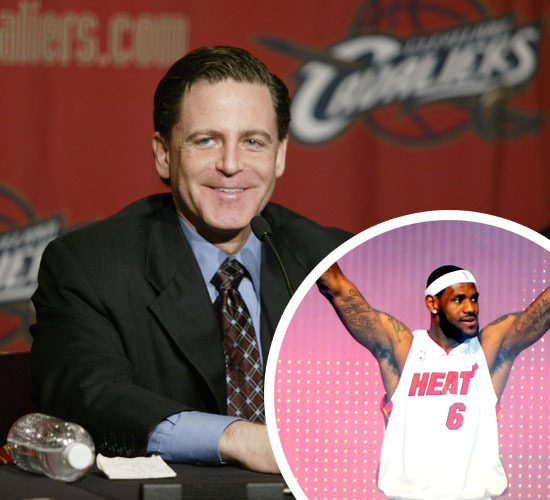 However, the open letter from Cleveland Cavaliers' owner, Dan Gilbert, was down right DISGUSTING! To be a man of power, in his position, leading a city of fans to harbor hate & resentment for an athlete is, to say the least, unprofessional. He described James' decision as "cowardly" and that the broadcast was a "shameful display of selfishness and betrayal". Gilbert declared to the Cleveland fans that he and the rest of the team would never betray them. He vows to win a championship before Lebron. I'm with Jesse Jackson on this one, "This is an owner employee relationship and Lebron honored his contract.... He speaks as an owner of Lebron and not the owner of the Cleveland Cavaliers." Of course Gilbert has a right to his opinion but he could've expressed it more "tactfully" as well. What do you think? COMMENTS!!! Dan Gilbert has been fined by the NBA for his "nasty" letter. Some teams have been suspicious of Miami heat tampering with free agents. There is an NBA law that prohibits officials and players from recruiting or negotiating with soon to be free agents, until July 1st. (Player Collusion). It is rumoured that Bosh, James, and Wade met in June to discuss the possibility of playing together.